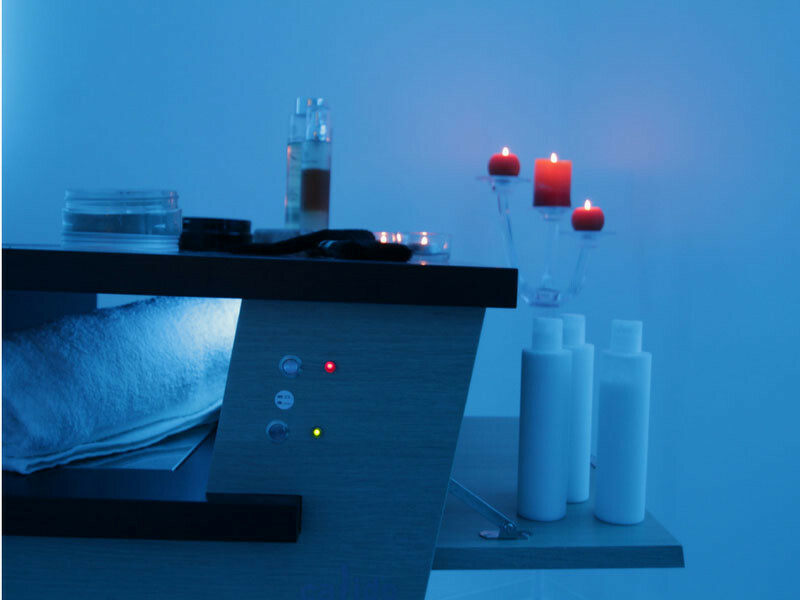 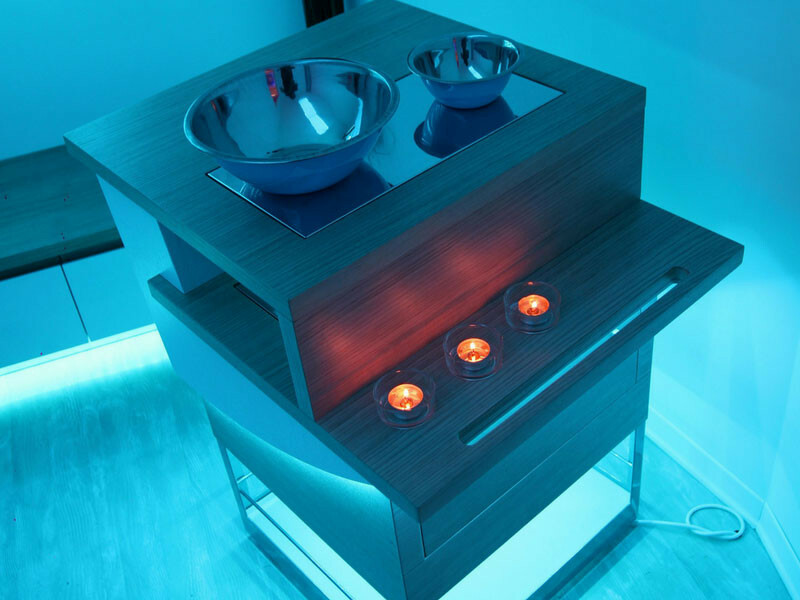 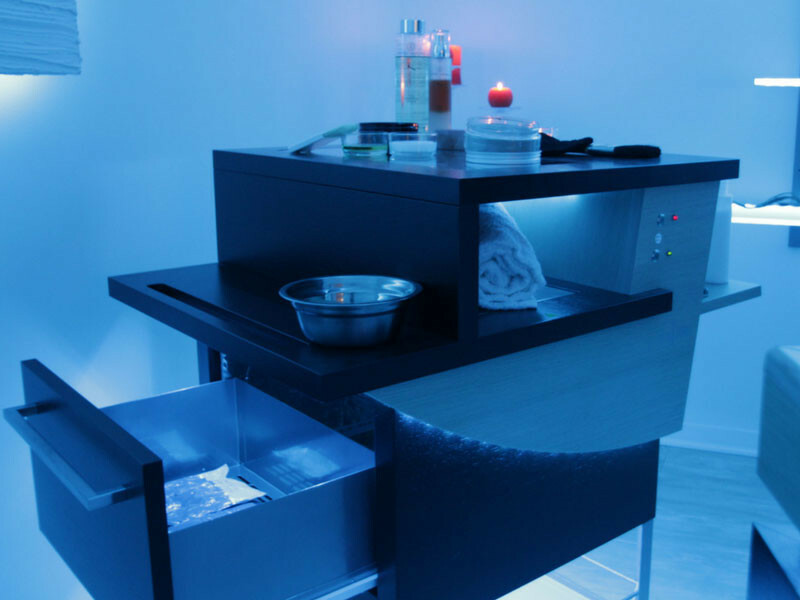 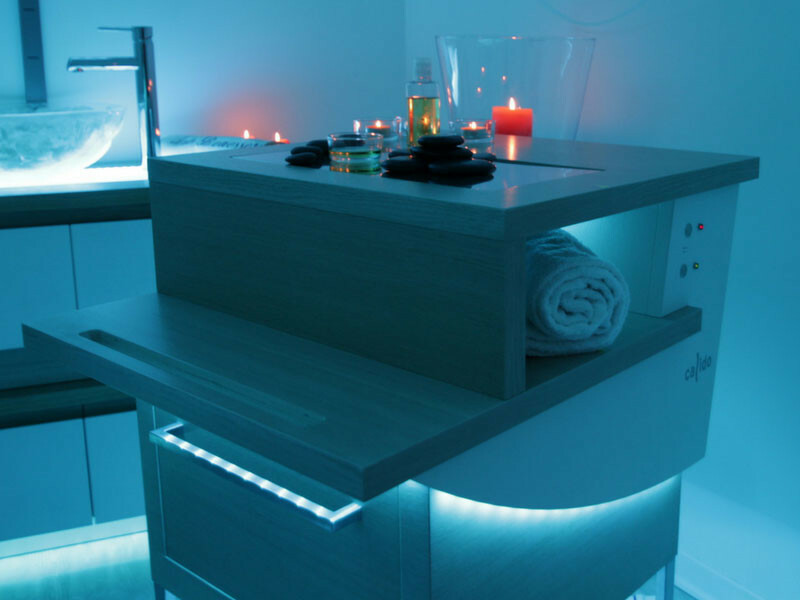 The multifunctional spa trolley CALIDO, thought for spa and wellness centers, meets all the functional requirements of the operator, creating a unique atmosphere inside the cabin, thanks to additional commands for chromo therapy. 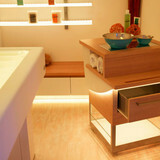 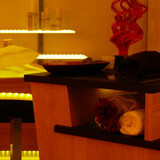 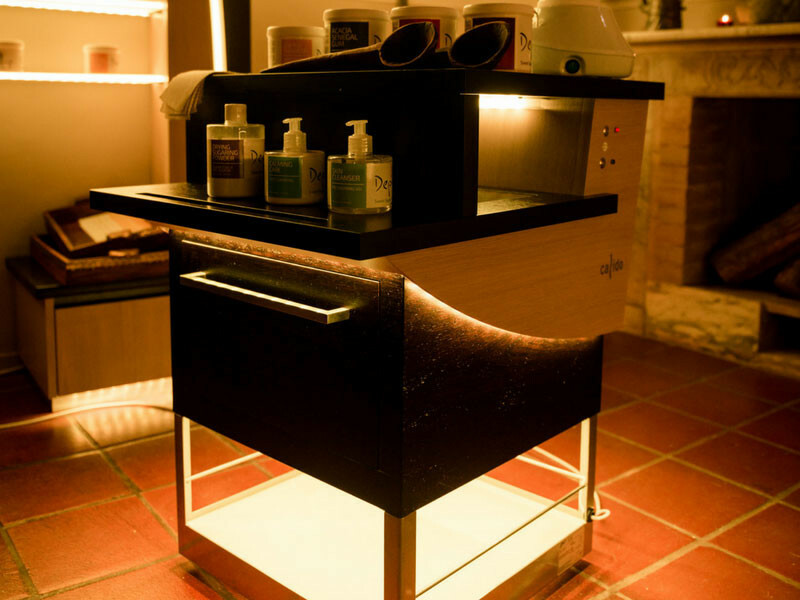 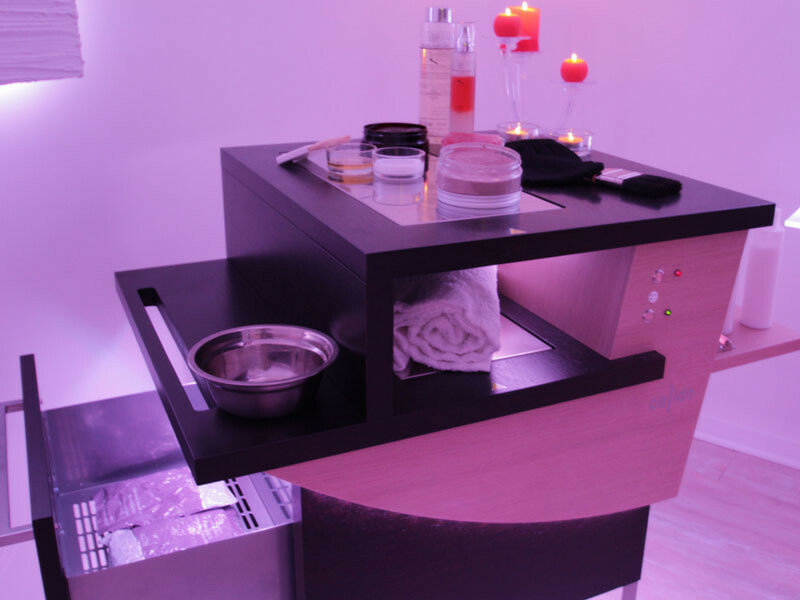 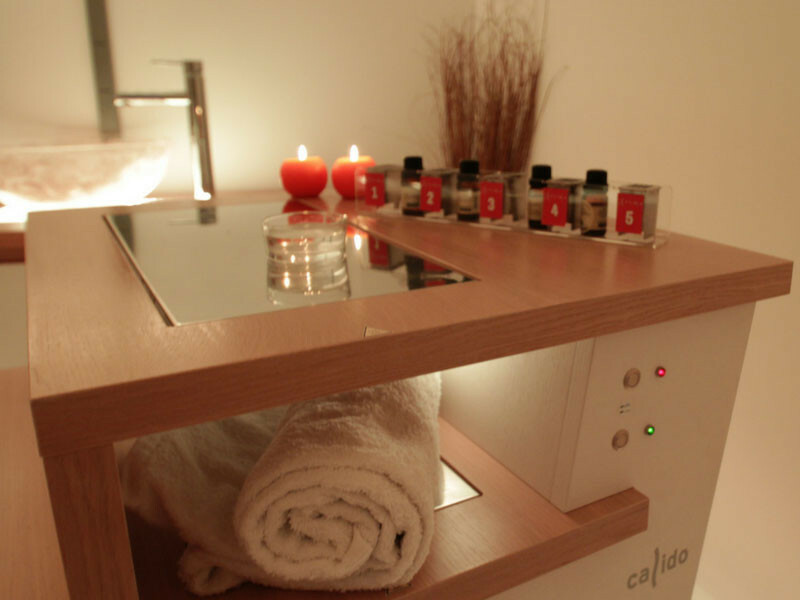 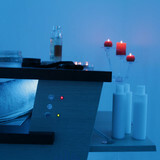 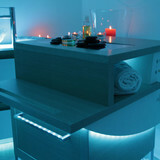 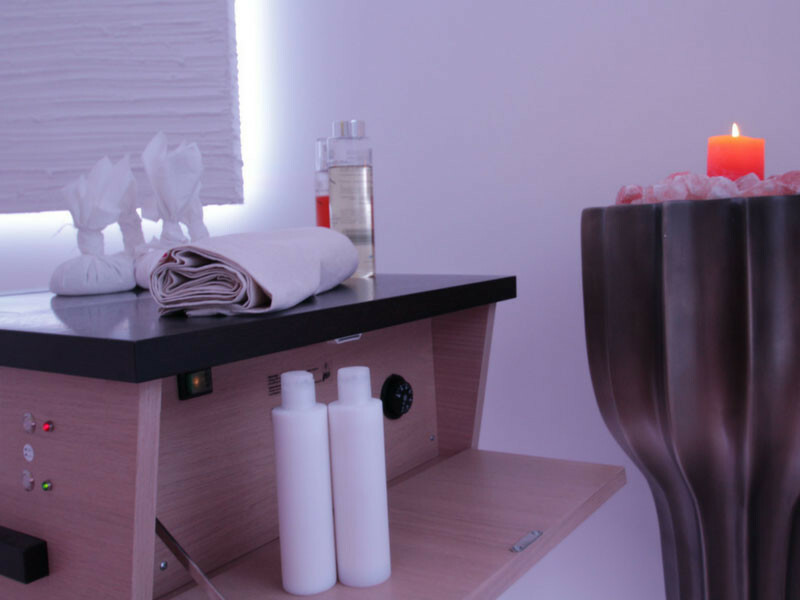 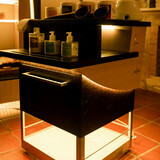 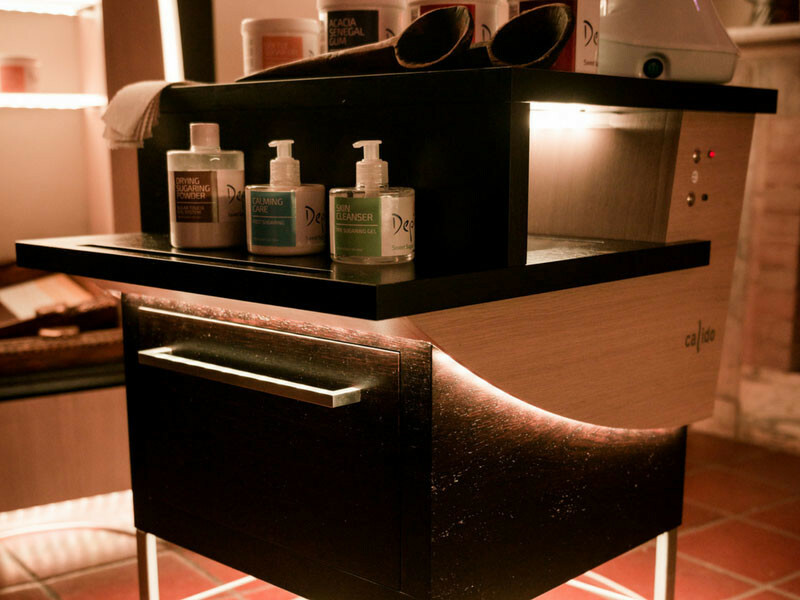 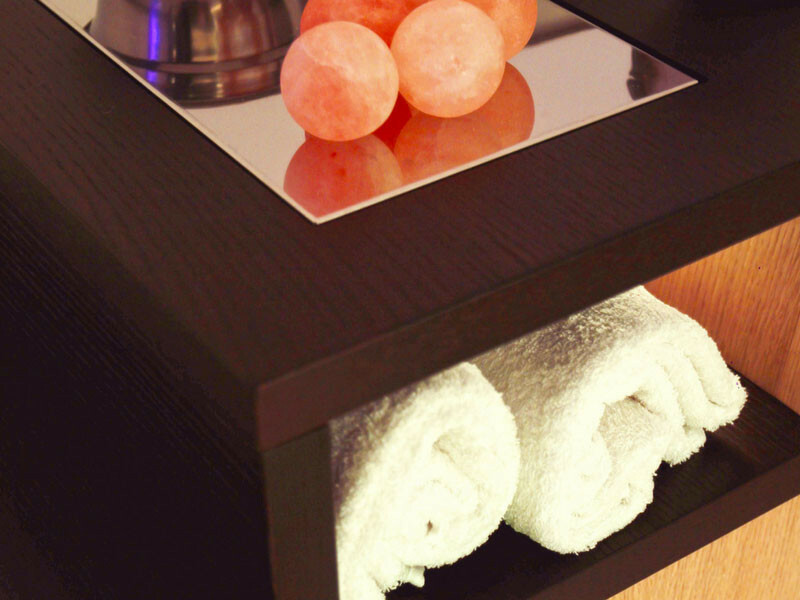 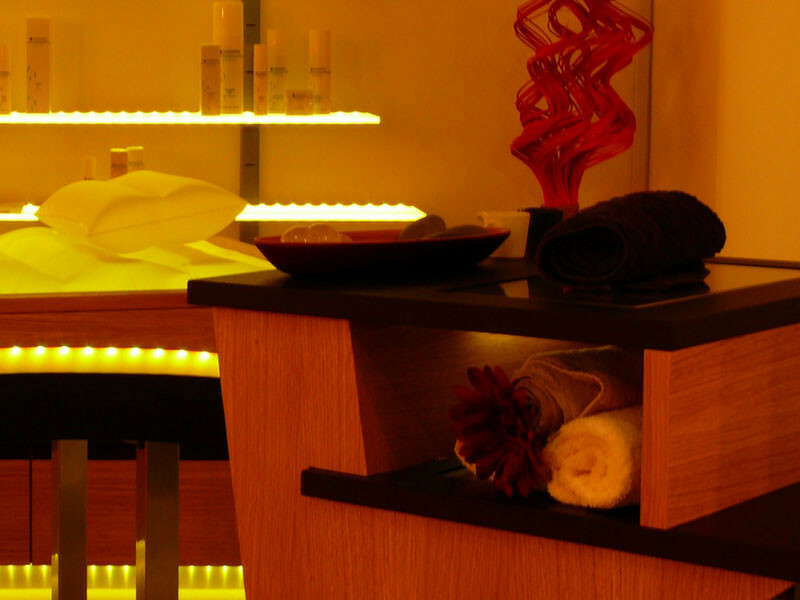 CALIDO has a refrigerated drawer, to keep fresh the massage towels or beauty products. 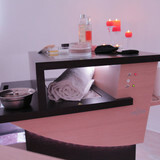 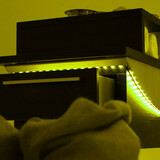 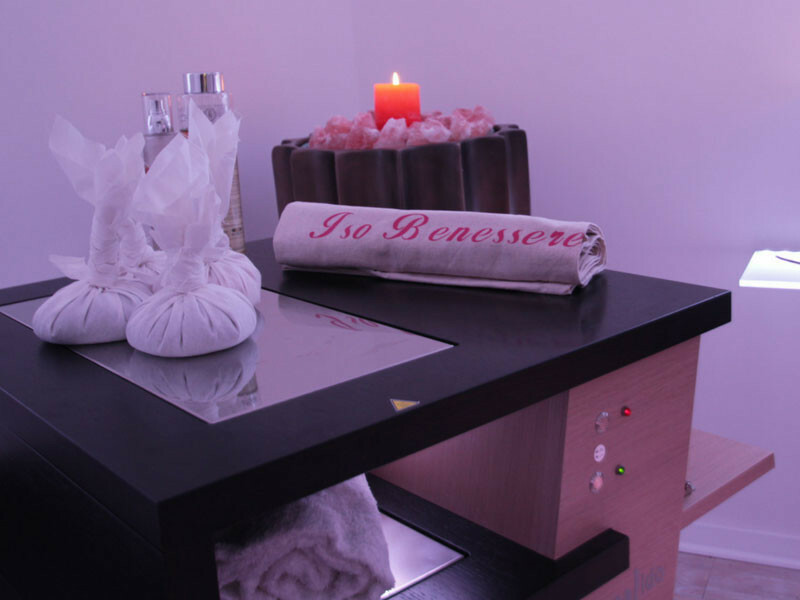 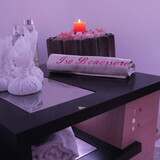 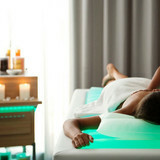 It is also provided with a compartment to heat the towels and one to heat creams, wax, stones, or similar things. 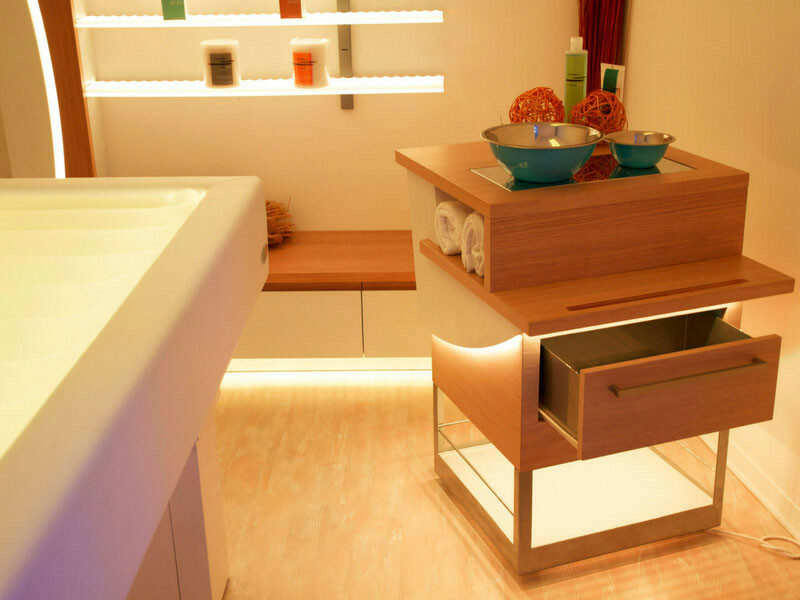 CALIDO has a large supporting surface, thanks to a retractable shelf, that makes CALIDO “space saving” and at the same time very versatile. 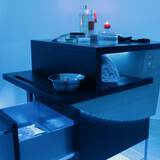 Based on four wheels, for a perfect balance and easy handling. 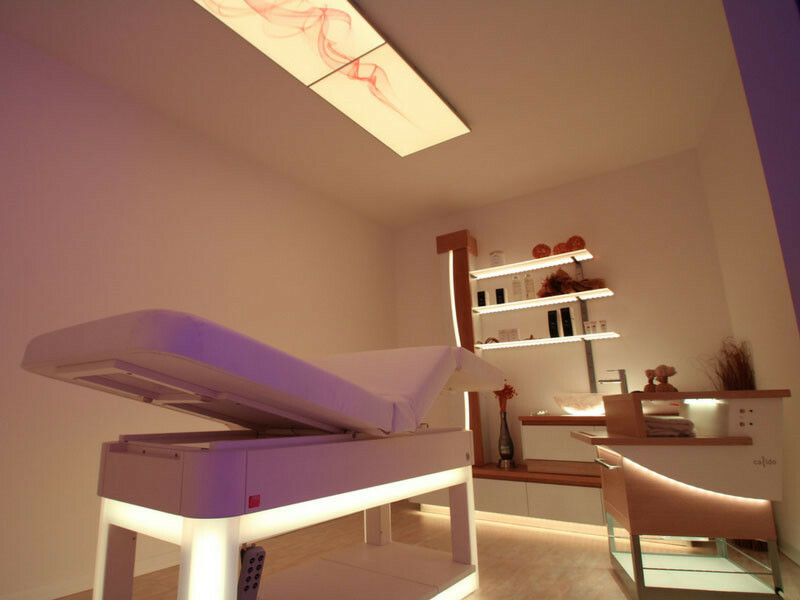 With a remote control, CALIDO can light the room with the customer’s desired color, or with the one more appropriate to the treatment. 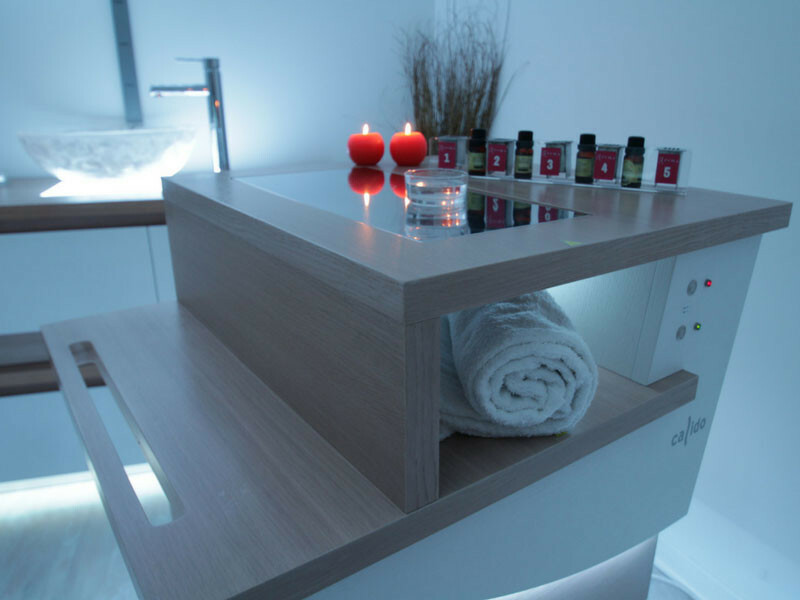 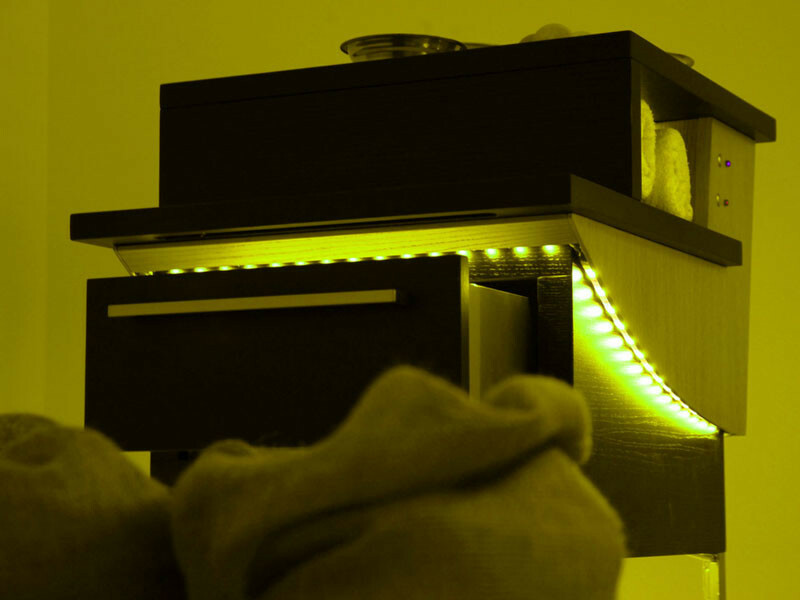 If in the same room, there are other Iso Benessere equipments, the color emitted by CALIDO is coordinated via wireless, so each equipments will simultaneously diffuse the same light color. 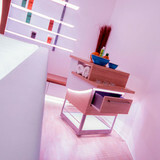 Calido is available in two color combinations: natural wood colour and white or natural wood colour and wengé. 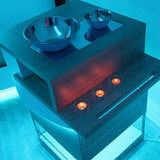 Equlibrium pack, widespread emotion. 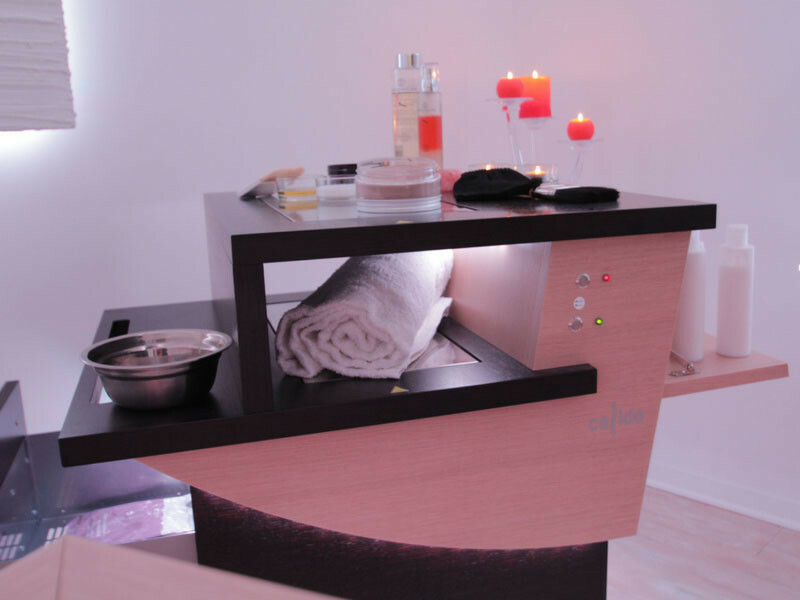 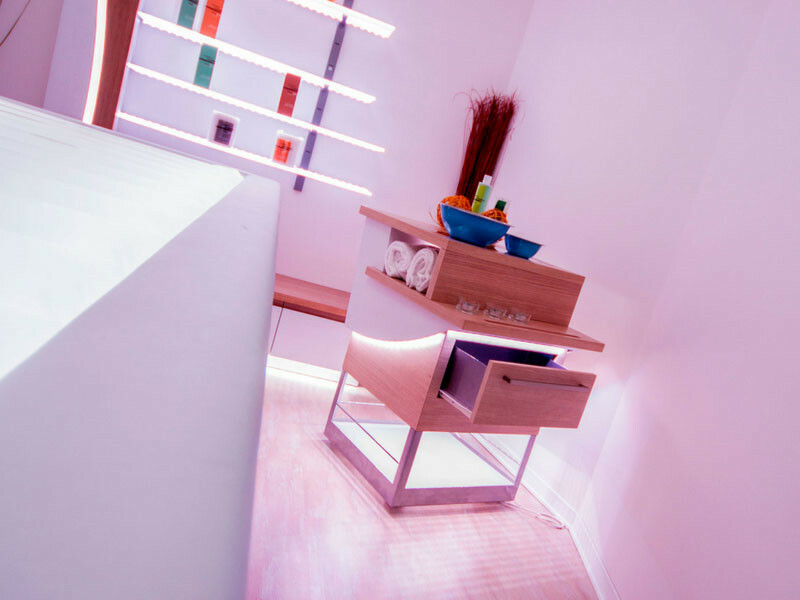 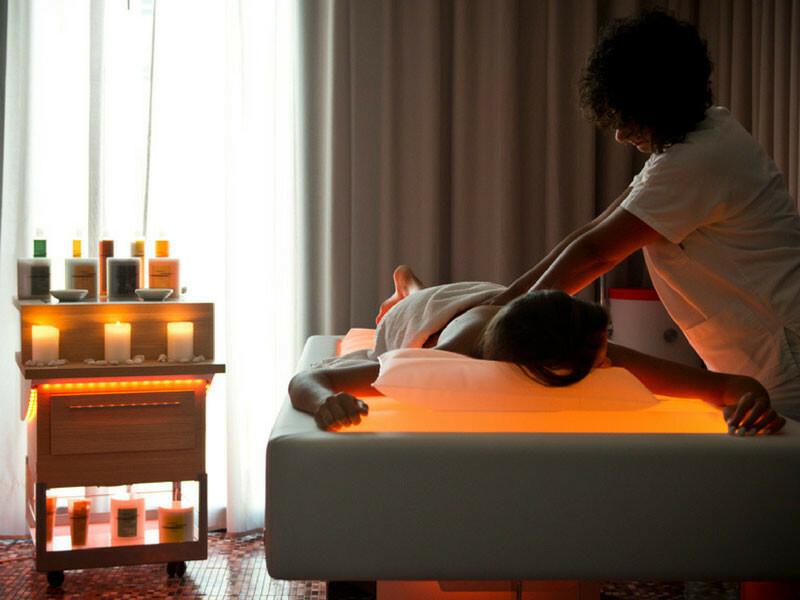 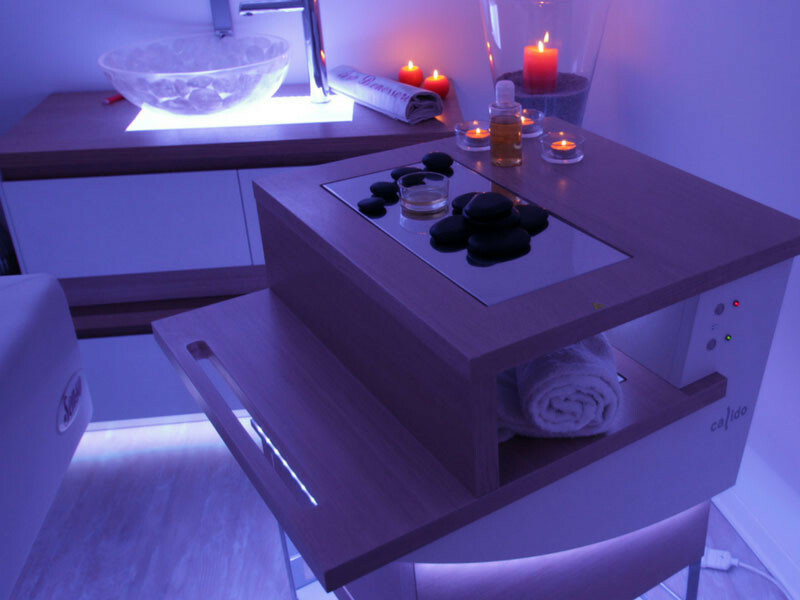 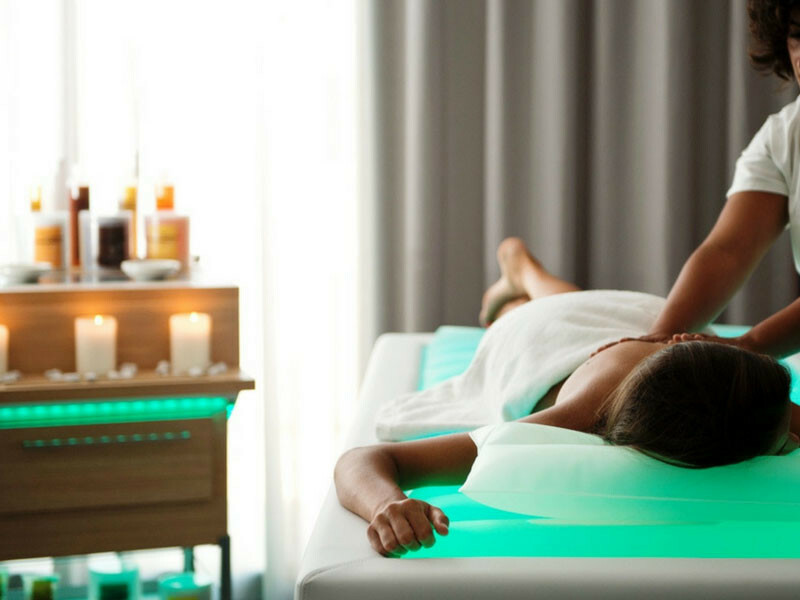 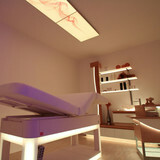 Calido trolley combined with 3 in 1 Equilibrium massage bed and a set of furniture like Lumina equipped wall and Aerius light element gives a coordinated design solution to offer treatments and feelings.